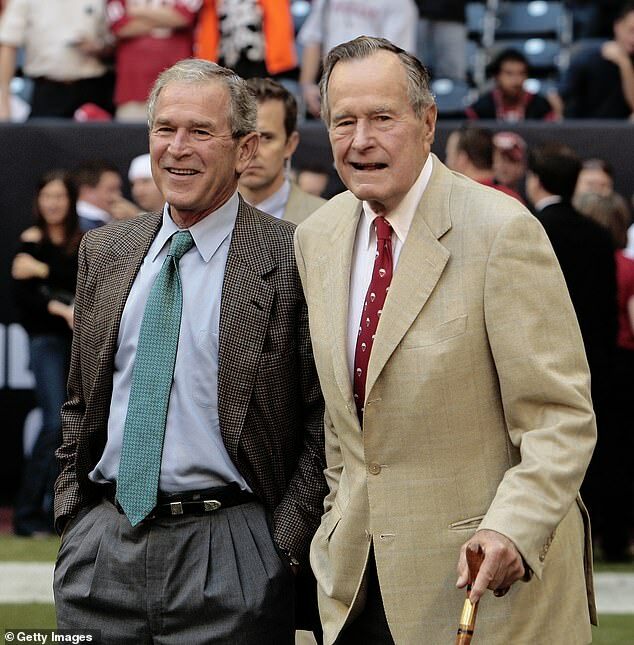 Tributes for former President George HW Bush were somber but sweet on the night of his death, with his son and fellow former president George W Bush leading the way with a thoughtful statement. 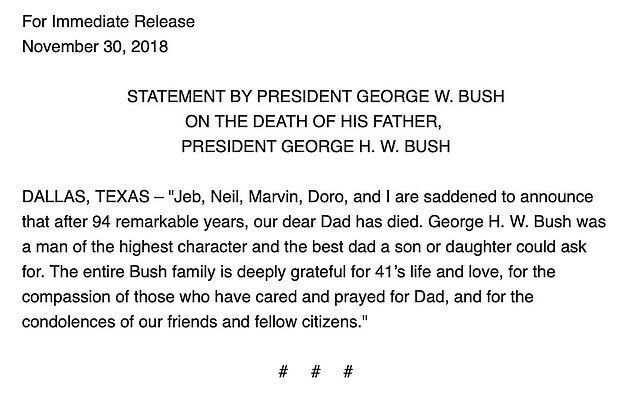 ‘Jeb, Neil, Marvin, Doro, and I are saddened to announce that after 94 remarkable years, our dear Dad has died,’ his son and our nation’s 43rd president said. 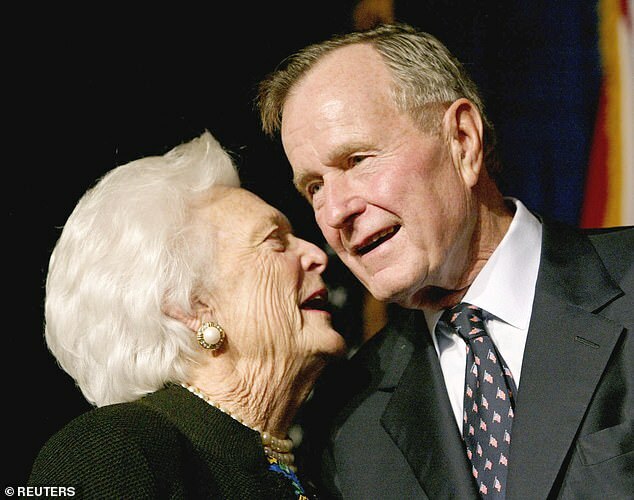 The office of 41 announced his passing late on Friday. The statement said funeral arrangements will be announced as soon as is practical.